The night of November 22nd, Glass for Europe attended the European Public Affairs Awards, aka EuroPAwards. The EuroPAwards is an awards ceremony which aims to mirror the diversity in EU policy affairs. The event showcases and celebrates best practices in public affairs, including the key role played by associations such as Glass for Europe, in shaping policy, providing a reliable support to legislators and delivering added-value to its members. 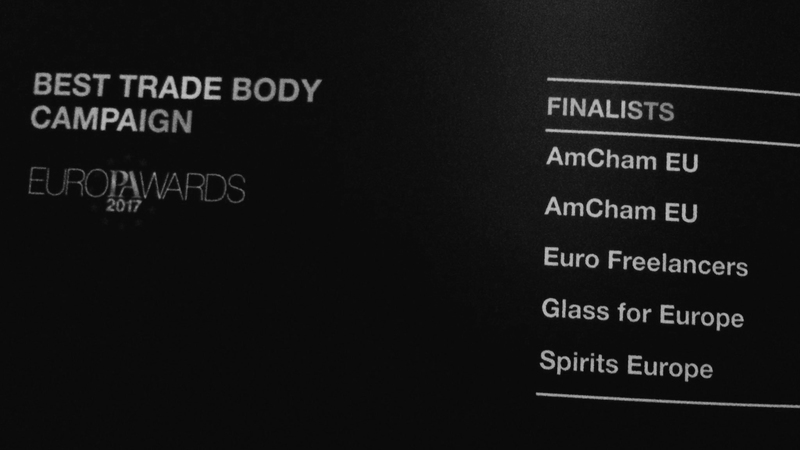 Glass for Europe was shortlisted as finalist for two categories “best trade body campaign” and “best use of social media campaigns” alongside with prestigious and well-established organisations such as the American Chamber of Conference to the EU, Spirits Europe, etc. This, together with the trust of our members, is an extra appreciation, coming from peers, for our work.